It has become an annual event for Thames Valley Chamber of Commerce (TVCC) to host the Japan Roundtable along with a Japanese delegation visit. 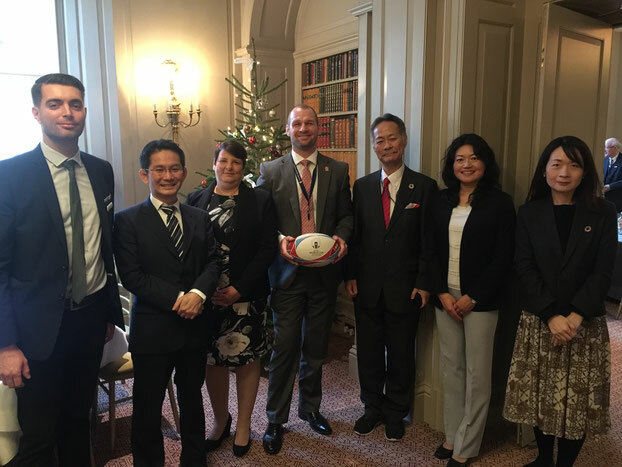 This year, we welcomed over 20 guests to the Cliveden House, including METI (Ministry of Economy, Trade and Industry) Kansai, OCCI (Osaka Chamber of Commerce and Industry), Japanese companies based in the Thames Valley and UK companies who already trade with Japanese companies. Only a week before the Japan Roundtable, we heard exciting news that Osaka was chosen as the host of the World Expo 2025. British Airways also announced its direct flights between Heathrow and Kansai International Airport (Osaka) will start from the 31st March 2018. These developments are very encouraging for businesses in both the Thames Valley and Kansai regions and both Chambers will continue to work together to enhance regional ties and to develop further business opportunities. During the Roundtable, companies shared their experience in working with Japanese companies or with their own Japanese HQs. It is true that Japanese companies often take time for decisions making and often require detailed information to do so, however, once that decision is made, project will progress very smoothly. Many attendees shared a view that it’s worth being patient during this initial process so that we can establish a solid and long-term relationship, which is so valuable for our business relations. We are very pleased to see that more UK companies have good understanding about the Japanese business customs and have developed business with Japanese companies. This is very encouraging for us OBM too. We will keep supporting businesses in both countries to strengthen their relationships. Japan will have a series of international events: - Rugby World Cup 2019, Tokyo Olympics 2020 and World Expo 2025 in Osaka, Kansai. We should make the most of these opportunities to strengthen the ties between the two countries and to encourage cultural and business exchange.